Priest’s days are numbered, thankfully. For most Hearthstone players, the game’s upcoming nerfs can’t come soon enough. The meta has been solved for a while, with Priest and Warlock in particular dominating both the ladder and competitive play. That’s made deckbuilding pretty uninteresting, especially with some of the strong cards that are powering those decks. But changes are coming. Nerfs to some of the game’s most powerful cards are coming later this month sometime in an attempt to balance the meta and change the predictable nature of things. The latest Vicious Syndicate meta report shows exactly why these changes are needed. As has been the case since early December, Priest is the most commonly played class on the ladder. It’s at over 24 percent in representation, where it has been for most of its dominance. 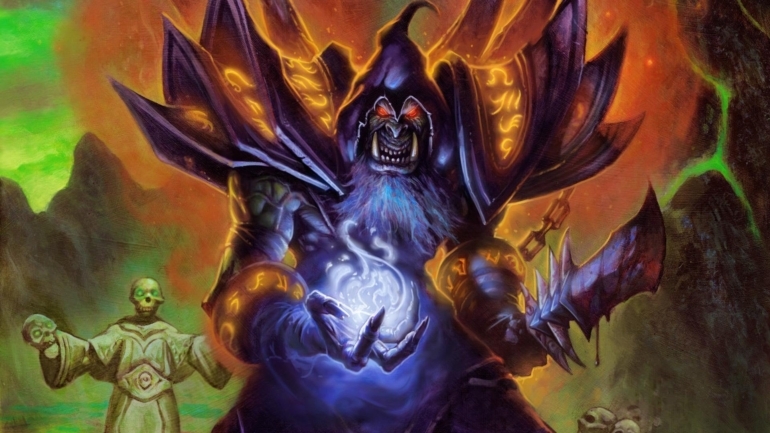 Warlock has enjoyed a steady rise in popularity in January, now making up over 20 percent of decks played on ladder. So between Priest and Warlock, those two classes make up nearly 45 percent of the ladder. Zoo Warlock has had a bit of a boost in recent play, in addition to the Control Warlock archetype that is dominating the competitive game. With Patches the Pirate and Bonemare getting hit in the nerfs, Warlock’s superior class package for tempo decks could shine through and see Zoo surge even higher. Control Warlock isn’t getting any nerfs at all, and that could mean Warlock ends up in an even stronger position of dominance than Priest enjoys right now. Below these two top classes are two distinct groups of classes. Rogue, Druid, Mage, and Paladin are certainly viable on the ladder, and make up the rest of competitive lineup choices as well. Though it brings up the rear in this group in popularity, Murloc and Aggro Paladin both are rated as tier one power decks in the report. Below that is the declining Hunter, and the basically non-existent Warrior and Shaman. Those classes may as well not exist in the current meta—and it’s unclear if that will change before the next expansion comes.